Sam owns a red shirt with a very slight diamond pattern and white stitching around the collar. It also has some sort of design in white on the front. 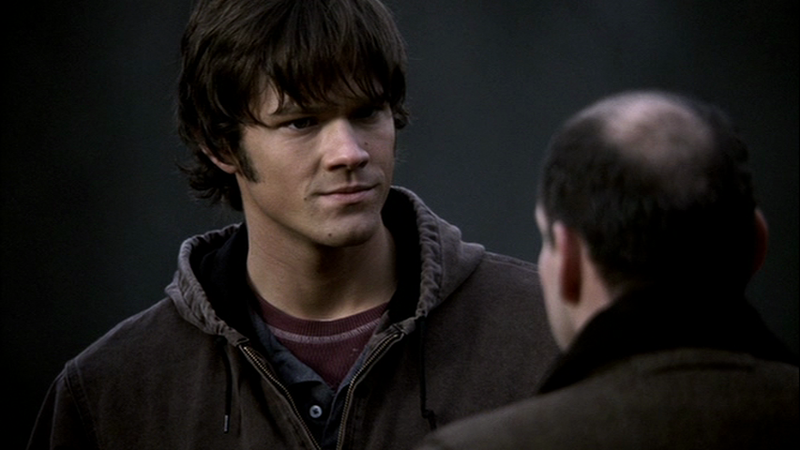 In Hell House (1x17), Sam wears it to check out the Hell House again after the “second” murder (which is actually the first) and keeps it on through to his first meeting with the Tulpa. 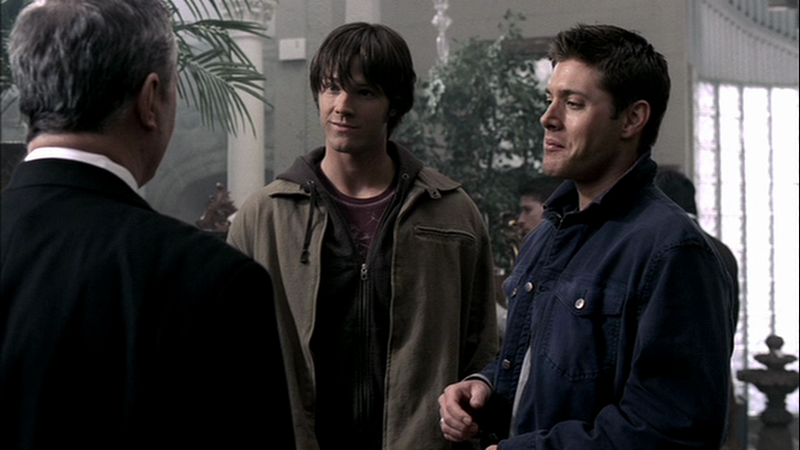 In Playthings (2x11), Sam wears it for the goodbye scene at the end of the episode.